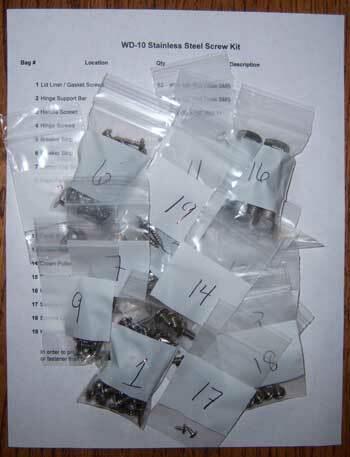 Stainless steel screw kit for Westinghouse WD-10 machines. All the stainless steel screws you need to complete your machine. Each bag is numbered and comes with a detailed tech sheet to tell you where they go. Very handy!